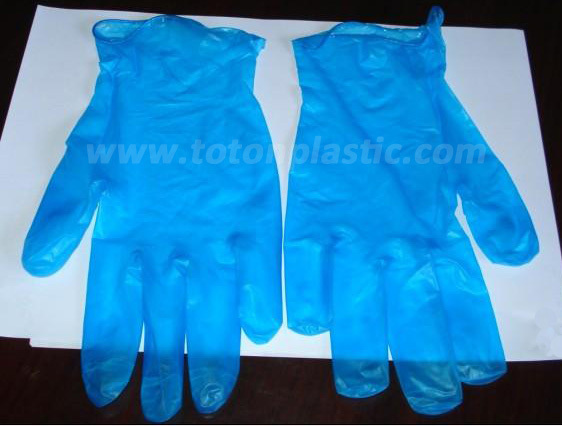 TOTON PLASTIC & RUBBER CO.,LTD. Powder or powder free, could satisfy different user’s practice. Size: S,M,L,XL, meet international standard, fits either hand. Color: clear blue, red, green etc. Smooth surface, to fit different medical devices. 4mil or other, adequate thickness, do not effect on hand’s sensitivity. Do not contain natural rubber latex protein or accelerator. Beaded cuff, durable & stretchable, ambidextrous-fits either hand. Package could follow customer’s request. Storage: Gloves shall maintain their properties when storing in a dry condition at temperature under 30 degrees Celsius. Shelf-life: 3 years from date of manufacturing.